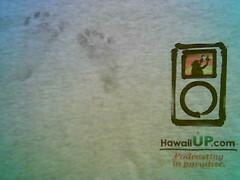 HawaiiUP - The Hawaii Podcast » Archive » Congrats, Adam! This entry was posted on Thursday, June 8th, 2006 at 3:56 pm	and is filed under Updates. You can follow any responses to this entry through the RSS 2.0 feed. You can leave a response, or trackback from your own site. Congrats to Adam and family. Just wanted to say I miss hearing your podcasts. Have a great one. Can you please mention this on your podcast? A young Filipina-American woman, Christine Pechera, is dying from non-Hodgkins lymphoma and is searching desperately for a bone marrow donor match. Christine is my cousin. Can you please visit http://www.savechristine.com and see if you can help? The donor doesn’t have to be Filipino, but the likelihood for a match is increased if the donor is of the same ethnic background. Unfortunately, while holding the record as the second largest Asian group in America, Filipinos have one of the least, if not the least, number of registrants in the national bone marrow registry. We are reaching out to the community to respond, for the sake of Christine and for all the people who may walk down the same unfortunate path. The process is simple to be tested as a potential donor. You fill out a form for a self-test kit from http://www.savechristine.com, and the kit is express mailed to you. If you’re a U.S. citizen and a minority, it’s a FREE. Simply follow the instructions and swab the inside of your cheeks with the cotton Q-Tips provided. No blood is involved. Mail the kit back in the envelope provided. That’s it. A few minutes of your time to save possibly a life. If you match, you will be notified and you can decide at that time if you’d like to proceed as a donor. The chances of matching are low, as there are over 20,000 different bone marrow types. Please spread the word to your family, friends and associates. Thank you! Steve is the son of Liz and Steven Feliciano, Sr and grandparents Raymond and Ramona Feliciano in Wailuku. If any relations , please reply. I am trying to do a family tree on the Felicianos.